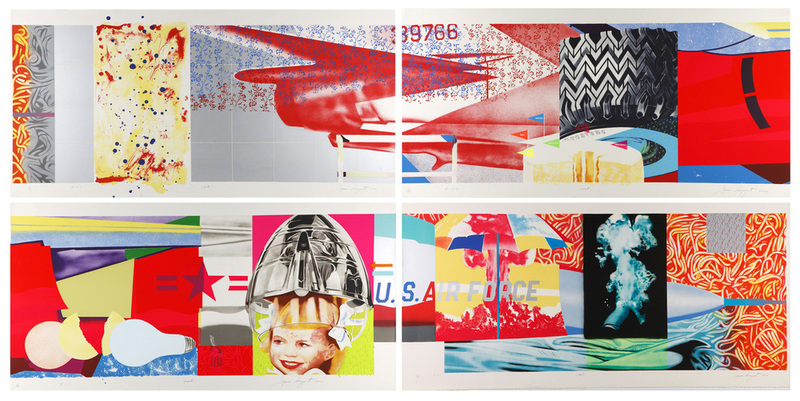 Senior & Shopmaker Gallery is pleased to present James Rosenquist’s F-111 (South, West, North, East), a four-part, 290 inch lithograph with screenprint printed in 1974 at Styria Studio, New York and one of the outstanding Pop prints of the era. 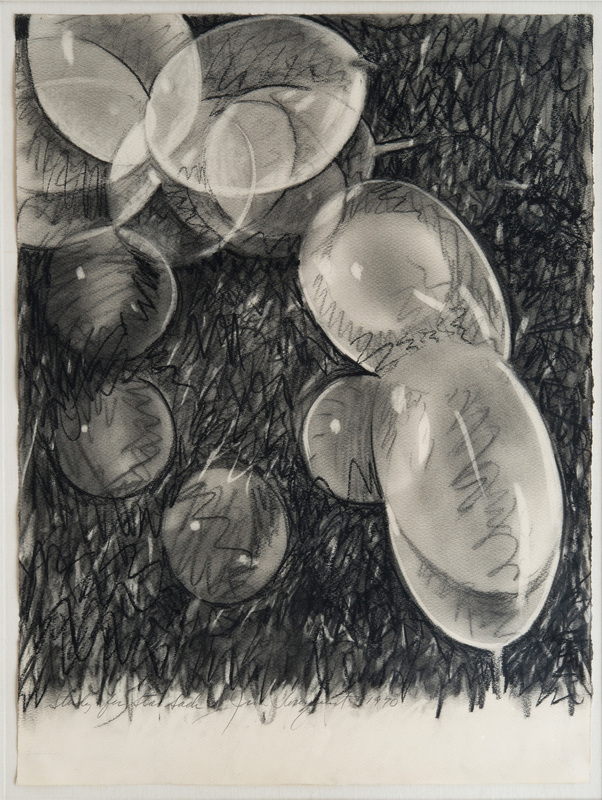 Accompanying the print will be a selection of the artist’s dynamic charcoal and graphite drawings from the same time period. 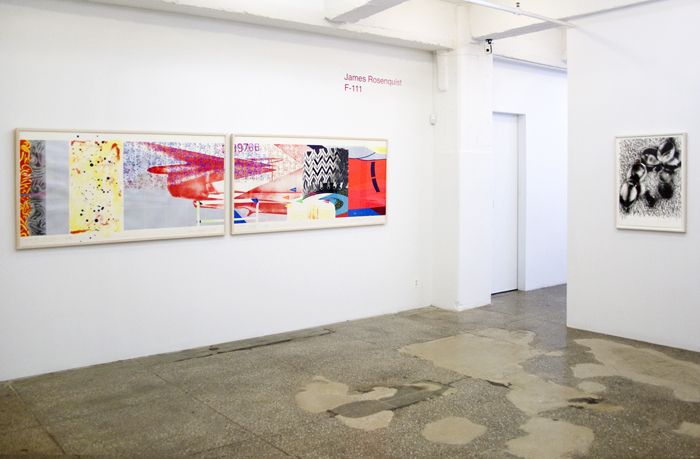 James Rosenquist (American, b. 1933), one of the key figures of the Pop Art movement, has been an influential printmaker from his early experiments with lithography in 1965 at Universal Limited Art Editions in Long Island to his innovations in recent years with large-scale multimedia prints. 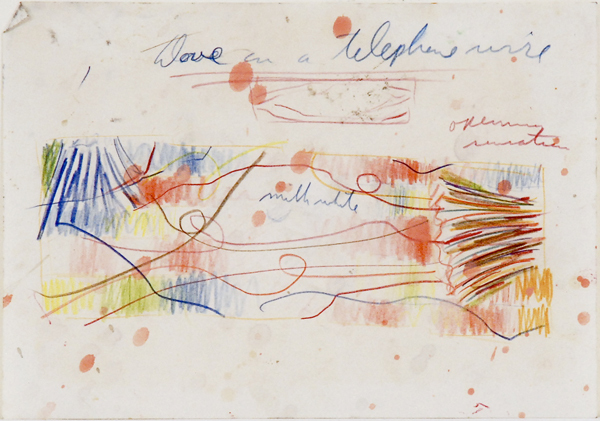 One of his seminal works on paper is the tour-de-force F-111 (South, West, North, East) of 1974, published by Petersburg Press and created nearly a decade after the monumental multi-panel painting of the same title. 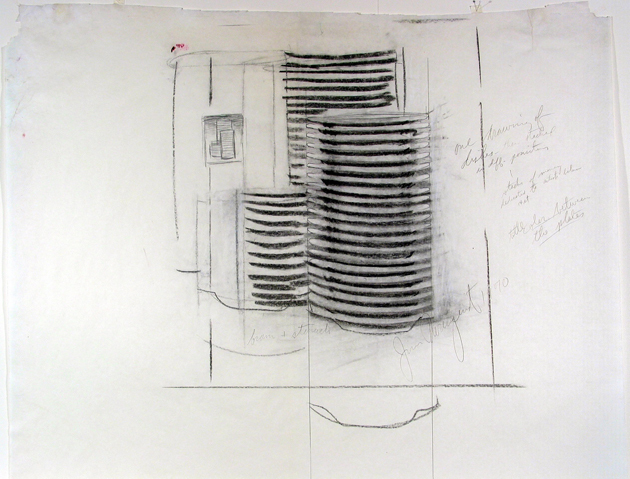 The painting is included in the collection of the Museum of Modern Art in New York, which, in 2012, exhibited it in the original wall-wrapping configuration first seen at the Leo Castelli Gallery in 1965. Designed in twenty-three panels, its primary subject was the latest F-111 fighter-bomber plane in development at the time, against which are juxtaposed images from everyday consumer culture. Rosenquist transformed the language of commercial billboard painting in his canvases and works on paper by weaving fragmented images, shifts in scale, and a vivid palette into disjunctive, non-narrative compositions. In F-111, the artist juxtaposes such disparate images as a GE light bulb, a Goodyear tire, a nuclear explosion, canned spaghetti, and the head of a blond girl under a hairdryer to anxious effect, offering a complex reflection of American society of the era.